There were also wins for the Hornets, the Raptors, the Grizzlies, the Rockets and the Suns. 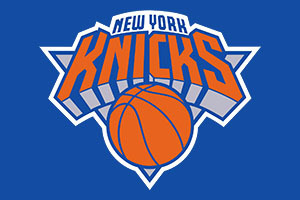 There were also victories for the Pacers, Miami Heat and the Chicago Bulls got a great win on the road in New York. Wednesday also saw the Nuggets taking care of business against the Pistons, the Warriors beat the Kings and the Trail Blazers thumped the Thunder. We’re just two days into the new NBA season and fans are already feeling a little bit breathless. 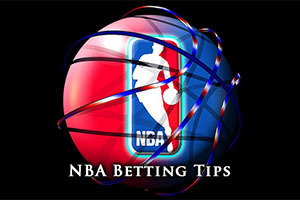 There is no time to take a breather though because the 30th of October is serving up a number of great NBA games and if you love basketball betting, you have plenty to look forward to. Both teams enter this game at 0-1 but the Mavericks will have a level of confidence about welcoming the Jazz to Dallas in this game. The Mavericks will be hoping for a 20th victory over the Jazz in 20 home games but they will be keen to bounce back after a narrow loss against the Spurs. Monta Ellis delivered 26 points and Dirk Nowitzki served up 18 points but it was a missed three pointer from Chandler Parsons with a second to go that will have had the most impact. The Jazz suffered a big loss against Houston but the 18 points from Alec Burks and the 16 points from Derrick Favors were big components in the game. The Mavericks will be keen to get a big win this game, and you get the feeling they could run over the top of the Jazz. This makes the 1.90 offer for the Mavericks at -10.5 to be of particular benefit. Both of these teams are 0-1 after their first game but there was certainly a lot to like about a youthful Timberwolves side which was pitted up against a side that has been a regular play-off team. The same cannot be said for Detroit and without Greg Monroe, currently suspended; there may be some issues for the side. While the 105-101 loss at Memphis would have been annoying for the Timberwolves, the debut of Thaddeus Young was a big success for the team. He managed to score 26 points on his debut, which will give the Timberwolves plenty of hope for the future. The absence of Kevin Young, suffering from an ankle injury, is still a blow to the Timberwolves but there is hope that they are on the right track. Another thing that stands in the Timberwolves favour is that they are looking to grab a 9th straight win over the Pistons, which would become the longest streak between the two teams. The Pistons lost out 89-79 against Denver. It was a tight game until the last few minutes but then Nuggets pulled away, and the loss of Stan Van Gundy was a blow for Detroit. Josh Smith was the main man for Detroit with 25 points but the absence of players such as Cartier Martin and Jodie Meeks ensured the team lacked mobility and fluidity. The Timberwolves at -4.0 is available at odds of 1.90 and this is looking like a sensible bet for this match. I can’t imagine that there will be much of an interest in this game, so it is probably to skip over it quickly. Oh wait, no, this is probably the most eagerly anticipated clash of the new NBA season as LeBron James heads back to Cleveland and the number 23 jersey for the first time in a regular season game for 4 years. It has been a long 4 years with a lot of hurt and anger along the way but this match will hopefully remove so much of the pain that Cleveland has felt in recent years. There will be more than 20,000 fans cheering on the Cavs in this game and praying for James to have an immediate impact on the team. Of course, it isn’t just James, the Big 3 featuring Irving, James and Love is a big draw but there will be strong backup from players like James Jones, Mike Miller and Shawn Marion, all of which means Cleveland is the bookmakers favourite for the NBA Championship this season. David Blatt is stating the case that the team needs time to gel but the expectation levels will be through the roof. The Knicks have already played this campaign, losing 104-80 at home against the Bulls, so they will be keen to avoid another defeat here, but you may find that they are swept away. Carmelo Anthony grabbed 14 points and Shane Larkin made his first start in his career. The bookmakers believe that the Cavs will get off to a flying start but if you believe that the weight of expectation may be too much for Cleveland, the odds of 1.90 for the Knicks with +12.0 could be of value.